The UAE on Monday said it will set up an independent national human rights committee, on the basis of the internationally-accepted Paris Principles, and that a comprehensive national human rights plan will be developed. The announcements were made in a report submitted to the UN Human Rights Council in Geneva as part of the Universal Periodic Review process. The report also presented, in detail, actions taken to promote human rights in the country since the adoption by the Council of the second Universal Periodic Review on the UAE in 2013, including legislation and steps taken across a wide range of topics, including human trafficking, labour rights and the empowerment of women. The report, which was presented by Minister of State for Foreign Affairs Dr Anwar Gargash, pledged that the government would take a number of voluntary future steps to continue the process of enhancing the protection of human rights in the country. Among these will be the establishment of an independent national human rights commission on the basis of the Paris Principles, the formulation of a comprehensive national human rights plan that is updated in the light of new developments and is in line with local laws and the country's international obligations and the promulgation of a federal law on domestic violence. Institutional and legislative measures and mechanisms will be adopted to provide greater protection for domestic workers and to strengthen their access to effective arbitration mechanisms. Special attention will be focused, the report said, on strengthening the role of specialised national mechanisms in the sphere of the protection of human rights, strengthening existing laws and legislation to keep up with best global practices and creating and training a team of specialised human rights officers. Also singled out in the report was the need to disseminate a human rights culture to the greatest extent possible, taking steps to entrench that culture in the professional world and in academia. "The UAE underscores that it will continue its efforts to promote and protect human rights in line with its national legislation and laws and its international obligations," the report said. "The State is determined to move forward by building on achievements made in the field of human rights and to continue to make a positive and active contribution to support best global practices in that area." The UAE is "determined to move forward with its efforts to add to the outstanding achievements that it has scored in promoting and protecting human rights and to contribute to and engage positively in international activities in this domain", the report said. The UAE was re-elected to membership of the UN Human Rights Council in 2015. Addressing the UN Human Rights Council on Monday, Dr Anwar Gargash, the Minister of State for Foreign Affairs, said UAE is committed to advancing human rights not just because it is a moral imperative, but also because it is a critical factor for the country's own stability. He was introducing the UAE's report for the third Universal Periodic Review (UPR) process at the session. 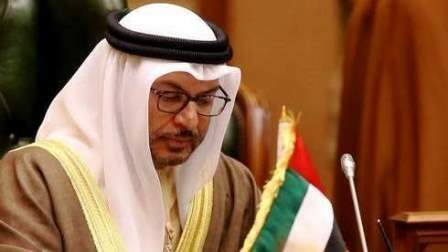 The reforms made since the last UPR, he said, "place the UAE at the forefront of regional efforts to both protect workers' rights and combat human trafficking." Describing the UPR as "an immensely helpful mechanism for assessing how we can continue to consolidate our progress in advancing our human rights laws and practices," he added that "we take pride in the progress we have made since our last review, to promote and protect human rights in the UAE." Dr Gargash said. He added: "The politics of division, based on ethnicity, religion, or even gender, has no place in the UAE". This approach, Dr Gargash said, was "the vision and the legacy of our founding president, Sheikh Zayed bin Sultan Al Nahyan." Adding that the UAE is "In a region that is beset with conflict, sectarianism and extremist ideas that seek to take societies backwards rather than forwards," it is necessary "to work hard every day to protect and promote this legacy." The process of working to advance human rights in the UAE is not simply a matter of its security and stability, he suggested. That commitment to the advancing of human rights, also meant that "the UAE can also contribute to the stability of the wider region, by sending a message of hope and tolerance and opportunity that transcends our national borders", Dr Gargash said.